OK, they may not be something I look forward to doing, because they are super hard – in fact I get a bit anxious prior to starting these, almost the same feeling I get before going on stage competing. Strange, but I’ve always felt that way. You can do these assisted of course, if you are not strong enough, and work your way up with less and less weight. 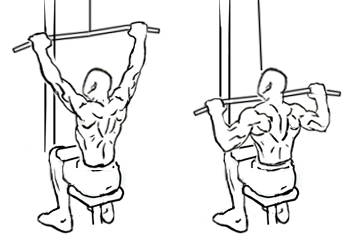 There are two types of pull-ups; the wide grip and the narrow grip (the latter works more the biceps than back in my opinion). 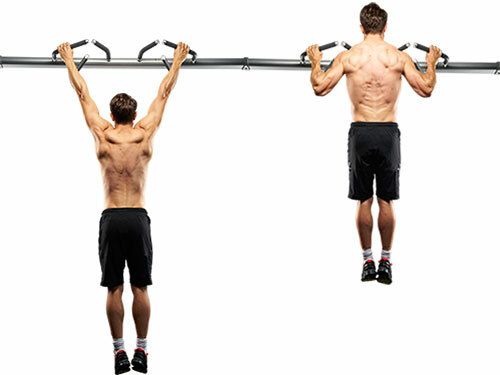 The true pull-up is the overhand, wide grip style – and if you master this exercise, you have proven true back strength! I used to do these every single day to practice (just a few) and I got up to 10 with proper form, but then after my shoulder injury I stopped and now I’m ridiculously weak. I will get back up there though- they are one of those “must master” exercises to me. By proper form, I mean keeping your body straight without swinging (none of this “kipping” Crossfit BS, haha). When I trained with Pauline Nordin in LA a couple of years ago, she also had me do one-arm assisted pull-ups, which I found helpful to equal out my strength in both arms. This is a great exercise for developing thickness in your back (I need this desperately) and it works the entire lat, the upper back and the traps. If doing these on a weight bench, place one knee up on the bench, and the other on the floor for support. Bend over so your back is parallell with the floor. Keep your back flat while reaching for the dumbbell on the floor, keep your elbows close to your body and pull back. Make sure to get a good stretch on the way back down, reaching forward, this really works the lats! Change sides and repeat. You can also support yourself on the dumbbell rack, keep straight back always and both feet hip width apart. I tend to prefer this exercise to the barbell bent-over row, as you isolate each side and avoid one side dominating the other. This is the exercise to build really great lats! Again, a great exercise for lat development- and if you want that great v-shape. Make sure to keep hands wide, outside shoulder width, palms pronated (away from you) and maintain an arch in your back and lean slightly back from your hip, this will help with range of motion. Avoid leaning back too much though, “aiding” the bar with your body weight. Be sure to pull the bar down only until it reaches the top of your chest, no further. Another mistake I see people doing is using their biceps rather than their back – be sure to pull your shoulder blades down without bending the elbow. Focus on the contraction in your back, pretend you are squeezing a penny between your shoulder blades. I usually do drop-sets when doing these, to really get a burn! This is another exercise that will add thickness to your middle back and lats. How to do it: load one side of a barbell with the desired weight and place the other end on the floor backed into a corner to stabilize it. Many gyms have a t-bar row already secured to the ground/against a corner (I’m lucky to be a member of a gym like that), but it’s easy to do on your own. Straddle the bar, and place your feed shoulder width apart. Loop a close-grip handle over the bar close to the weights, grab the handle with both hands, keep an arched back, and knees slightly bent. Pull the bar towards your chest and squeeze your shoulder blades together at the top. I hold for a 2 second count at the top and slowly lower to get a good stretch. 5. 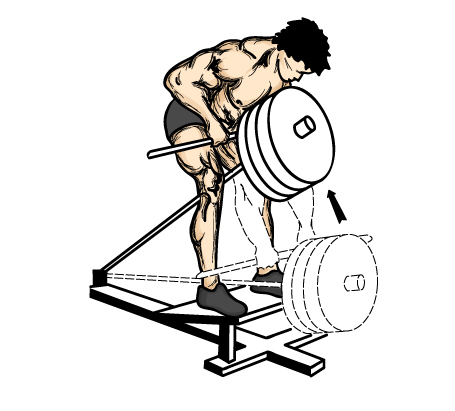 Deadlifts – since I mentioned this on part 1 of this series (legs), I will just briefly mention it as it is a great exercise for the back as well as arms, core, hamstrings and glutes as well. 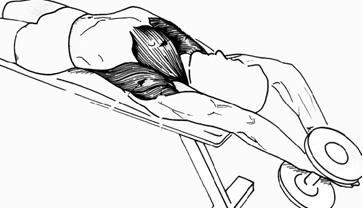 As exercise #5 I will add PULLOVERS as an additional good exercise for your back. 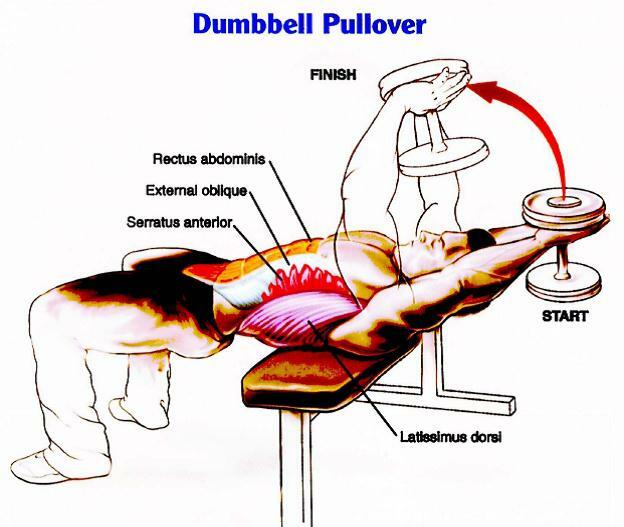 Using a dumbbell, you can either lay flat on a bench the same way you would when doing chest presses, or lie across the bench forming a ‘cross’, where your shoulders touch the bench, and the rest of your body is off in a straight line perpendicular to the bench, knees bent, feet flat on the ground. Hold the inside of the dumbell with both hands forming a diamond shape. Keep your arms straight when lowering the dumbbell behind you and pulling it up stopping right on top of your chest. (If you do this exercise for pecks, you can bend your arms slightly). Be careful and always stay focused during this exercise, otherwise it can be easy to injure your shoulders. You will feel this in both your lats and pecks. Some gyms have a pullover machine, you can substitute that too, but I always like the dumbbells as it forces you to use your core to stabilize the weight.